We offers accommodations 3 minutes walk from the beach in Marsa Matruh, 1.2 mi from Cleopatra Beach and 10 minutes drive from Downtown Matruh. This fully furnished air-conditioned Apartment feature several outdoor pools some of them suitable for young kids with safe slides and fun games. Guests can enjoy a meal at the on-site restaurant. The property also offers grocery delivery. 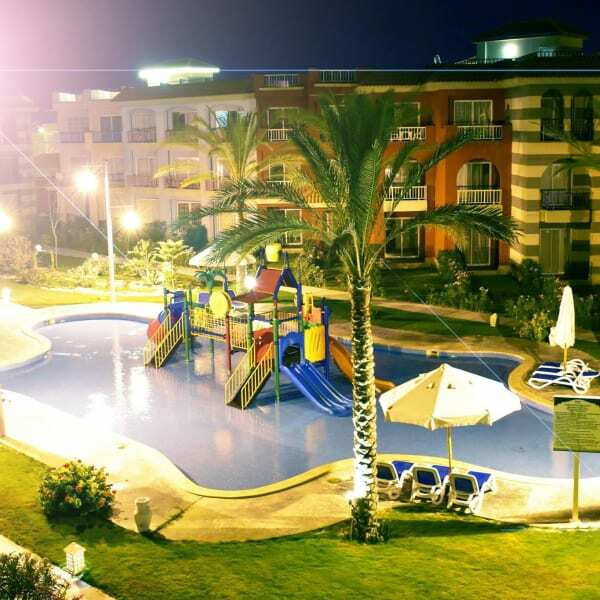 Porto Matrouh Resort 3 minutes walk from the beach in Marsa Matrouh, 3 km from Cleopatra Beach and 15 minutes drive from Downtown Matruh. Rommel Museum is just a 10-minute drive from Porto Matrouh Resort. Matrouh Airport is 20 minutes by car. You can contact Porto through the Contact Host button on this page. If you've already booked, go to My travels. Interested in more listings around Marsa Matruh‎?